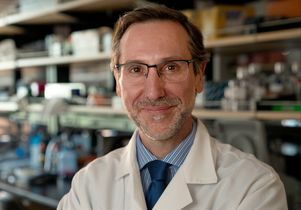 Dr. Antoni Ribas, a renowned physician-scientist and professor of medicine in the David Geffen School of Medicine at UCLA, has been named the 2019–2020 president-elect of the American Association for Cancer Research. Ribas will officially become president-elect on April 1 during the association’s annual meeting in Atlanta and will assume the presidency at the 2020 annual meeting. As director of the tumor immunology program at the UCLA Jonsson Comprehensive Cancer Center, Ribas has helped lead the development of new therapies for malignant melanoma, for which few effective therapies exist. Ribas is known for his work in immunology and understanding how the immune system can effectively be used to fight cancer in order to develop more effective and less toxic therapies for people with cancer. He led the clinical program that demonstrated the effectiveness of the drug pembrolizumab, which has been a significant advancement in the treatment of melanoma. This was the first of the class of PD-1 blocking antibodies approved by the U.S. Food and Drug Administration for the treatment of any cancer. Born in Barcelona, Spain, Ribas attended the University of Barcelona, where he earned both his medical and doctoral degrees before coming to UCLA in 1996. Now, more than 20 years later, the physician-scientist has made UCLA his second home. He is a member of the Broad Center of Regenerative Medicine and Stem Cell Research at UCLA also serves as the director of the Parker Institute for Cancer Immunotherapy Center at UCLA. Read the news release at the Jonsson Comprehensive Cancer Center website.